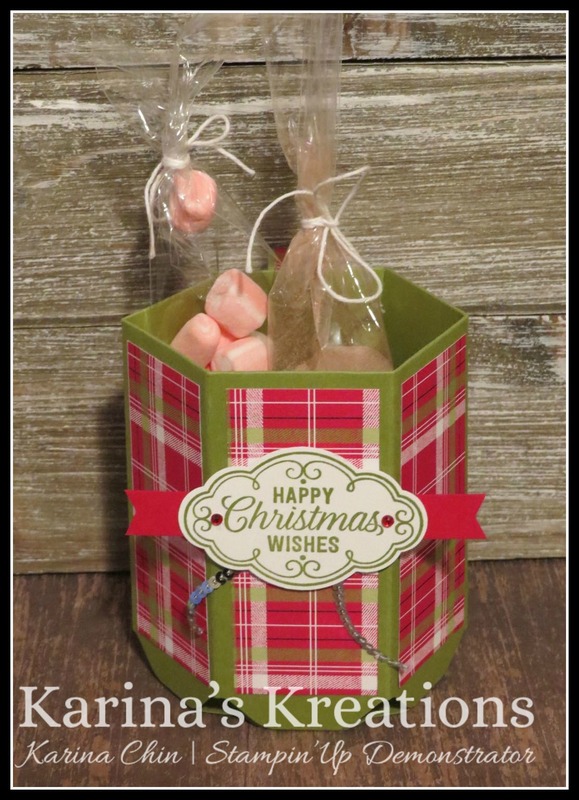 Karina's Kreations: Make a cute paper cup gift holder with this easy template! 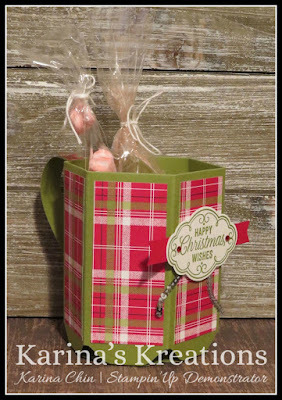 Make a cute paper cup gift holder with this easy template! 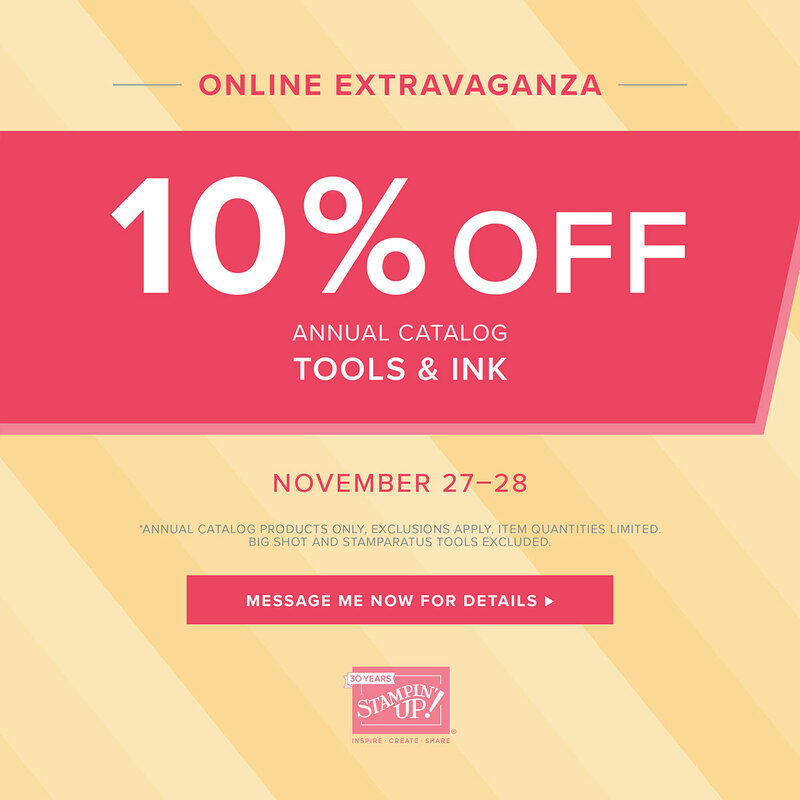 The Online Extravaganza special today is Tools and Inks. 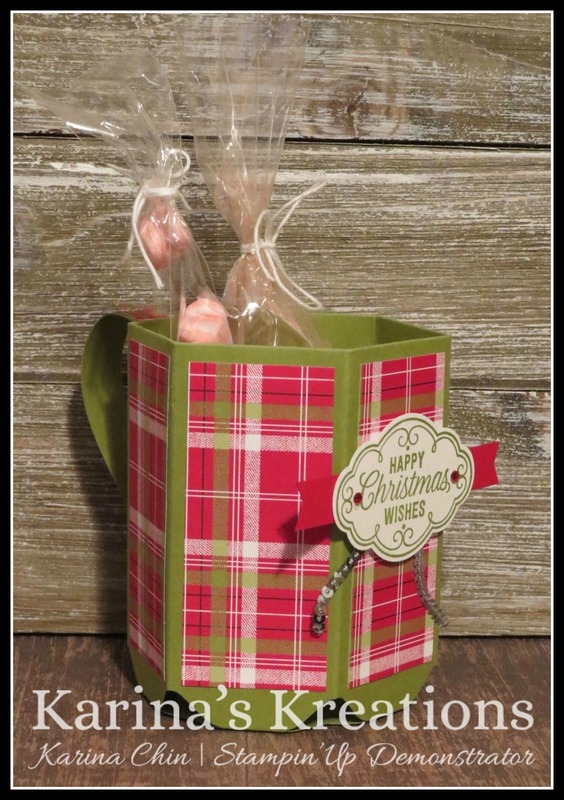 I'm featuring a paper cup gift that you can give to friends or use as a hostess gift. It's large enough to hold a give card, Hot chocolate, a mini Bailey's, Marshmallows. I was surprised how large it is. I made this project using the envelope punch board which is on sale today. I'll try to do a facebook live or You Tube Video for the project at 1:00 today. Click on a picture to go to my online store.